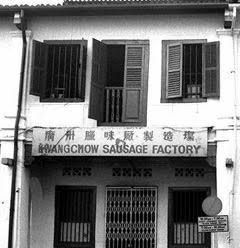 It was first a sausage factory. 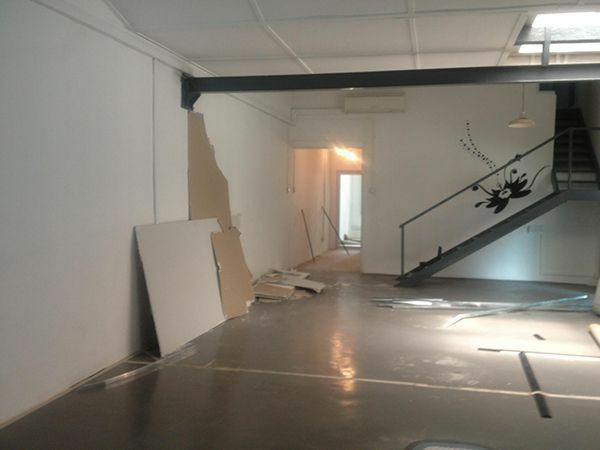 Then it became a photography studio and post-production office, then went unoccupied for a while before Matthew Elton and his partner Mark spotted the "For Lease" sign and turned it into a stunning shophouse that they call home now. "We've been here for just over a year. 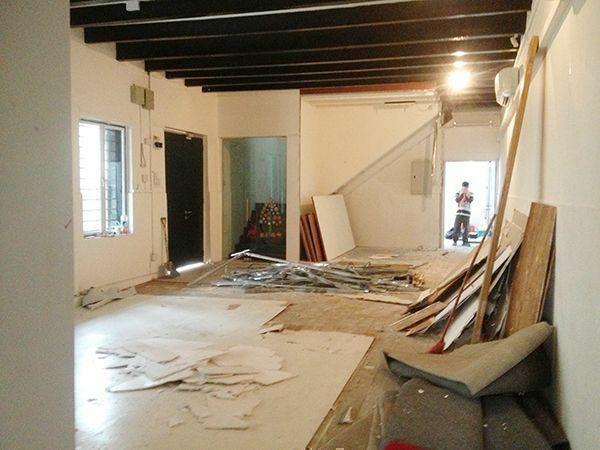 We moved to the shophouse in May of 2014. Before that we were staying in a condo, which was very boring," says Matthew, who just recently launched HotLotz, an innovative new auction house that offers Singaporeans an exciting new way to buy, sell and collect premium furniture and interior decorative items (HotLotz has a weekly live auction every Saturday morning at 10am offering an eclectic range of internationally and locally-sourced items.). Condo living didn't suit these Western expats who wanted to live like the locals. "If you are going to live in someone else's country, you have to get down and meet people. When I was living in the condo, I didn't even know the people living on our floor. Our place could've been anywhere. If you are going to live in someone else's country, you have to explore and integrate," says Matthew. 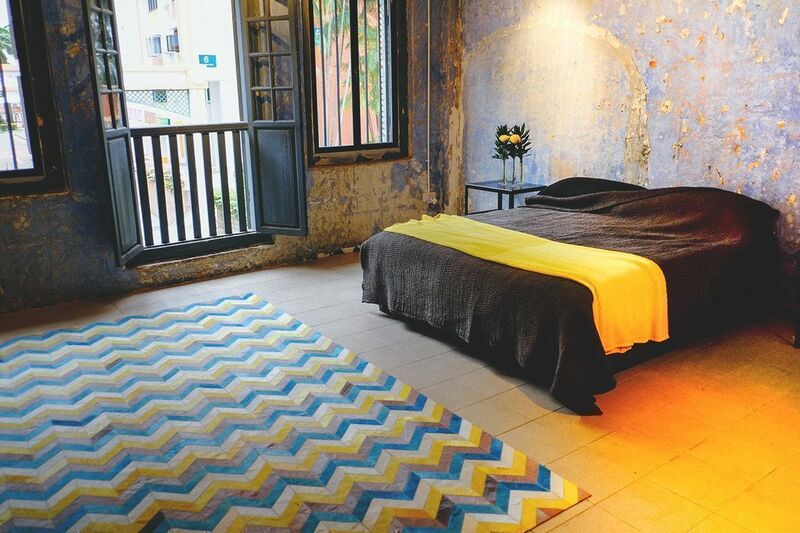 And what could be more Singaporean than settling down in an old shophouse? 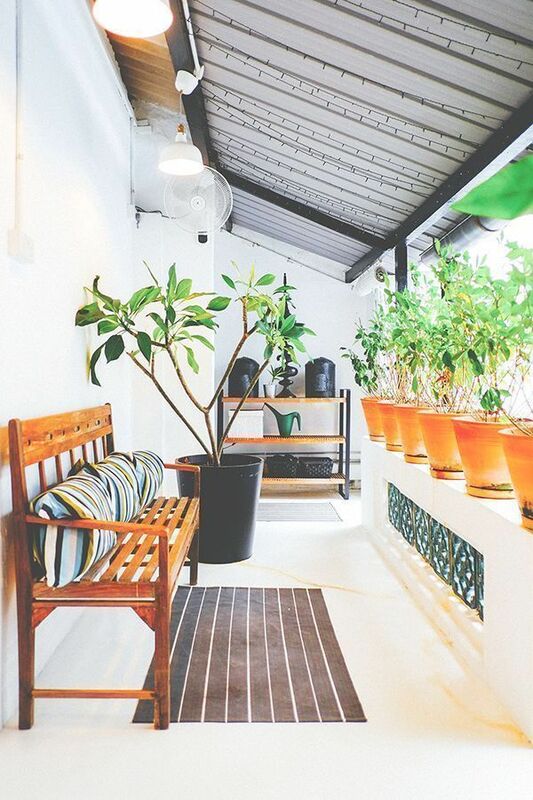 "What I love about my house is its location in Singapore. I love this melting pot we have. We have old Chinese families on one side and crazy expats on one side. I do go to the hawker centres constantly. The great thing about this area it's close to a lot of other places, even the MRT. The location is brilliant." 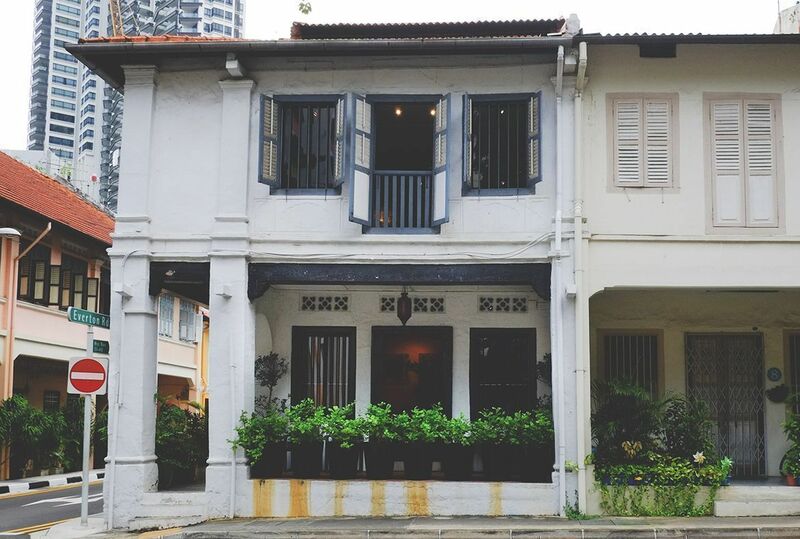 Just like what the couple wanted, their shophouse on Everton Road is at the cross-point of Singapore's signature old-meets-new living...it has a view of the Everton Park HDB, the towering The Pinnacle@Duxton, and is surrounded by other Chinatown shophouses. "Everton Road is an amazing street. That's why we decided to lease it. We have a great landlord, and he gave us a fair rent. He also agreed for us to do the renovation," Matthew says. 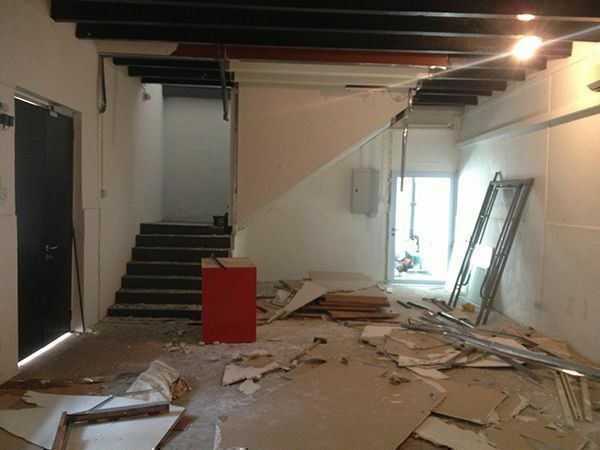 Matthew and Mark had one month to renovate before moving in. 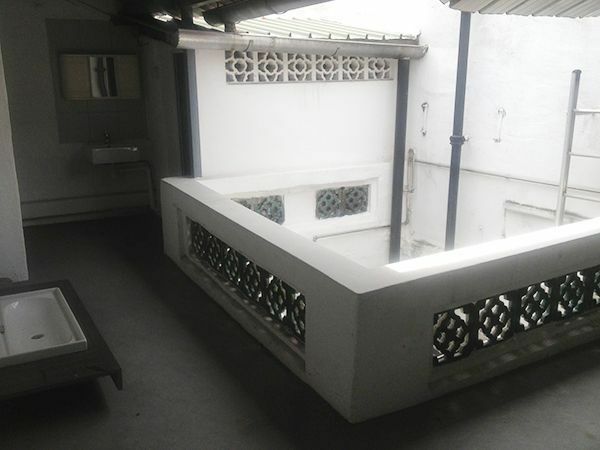 Because the shophouse was a commercial establishment before, there was no kitchen and bathroom, and it was divided into small spaces with jet-black windows. "There wasn't anything really," Matthew points out. And the shophouse is big. It measures at 5,500 square ft., making renovation a gargantuan undertaking. "The challenge was, this place is huge, and I wanted to open the spaces up," says Matthew. This spacious area would eventually become the living room and the kitchen. "Another challenge was to keep it cheap. 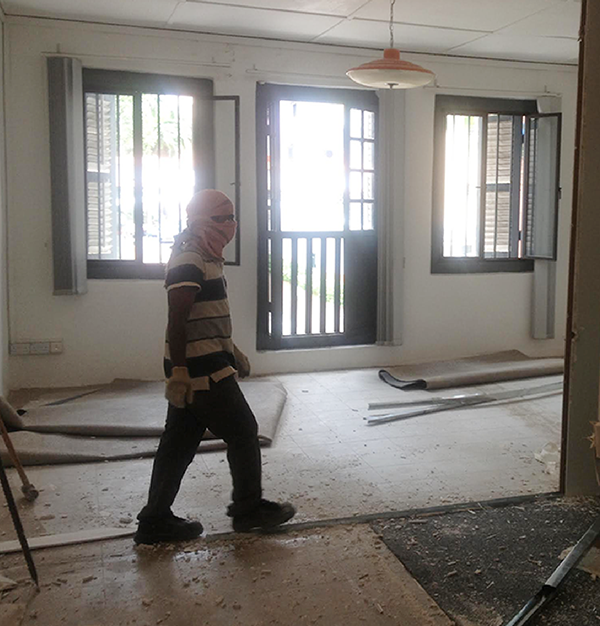 It's only a rented space, so it made sense to renovate on a budget," Matthew adds. The couple set a $65,000 budget for renovation. Fortunately, the renovation was a smooth process. Their contractor was like a gift—he understood the space and made all the necessary renovations. "They're fabulous. I would draw pictures and they would do it," Matthew recalls. They built the bathroom and kitchen on the ground floor first, changed all the windows, painted the walls and the ceiling beams, carved out spaces on the second floor. They also peeled all layers of wood on the floor to reveal decades-old tiles, which Matthew decided to keep. A practical choice, since there was 5,500 square feet of floor area to deal with. Without any interior designer to guide him, Matthew worked his creative mojo and trusted his gut and made the place personal and homey. The bedrooms, den, home office, and bathroom would be on the second floor. Reno works included carving out rooms on the very open second floor, hacking walls to create an outdoor shower, and creating a faux hallway by placing Ikea's Pax mirrored double wardrobes together. The result? A spacious and stylish area that now stands as the home for the couple and their rescued cat affectionately named "Baby Thing," and doubles as the default get-together destination for the couple's friends. 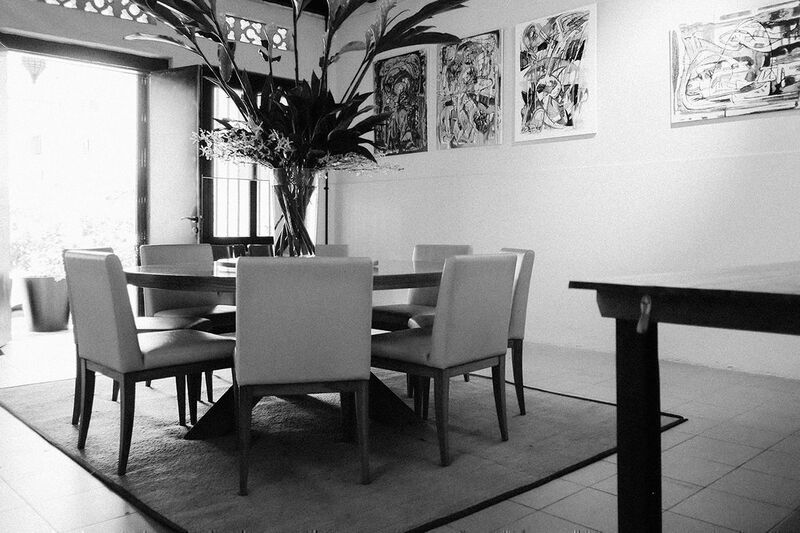 The ground floor—which Matthew refers to as the "public" part of the house—holds the spacious dining room that is the first thing that welcomes you when you enter the shophouse. Here, you see the round dining table right smack in the middle of the room, jutting forth like a centrepiece. "We're very social, so we had to make the dining room bigger. We always have lots of people for dinner. Here, you could squeeze 14 people." 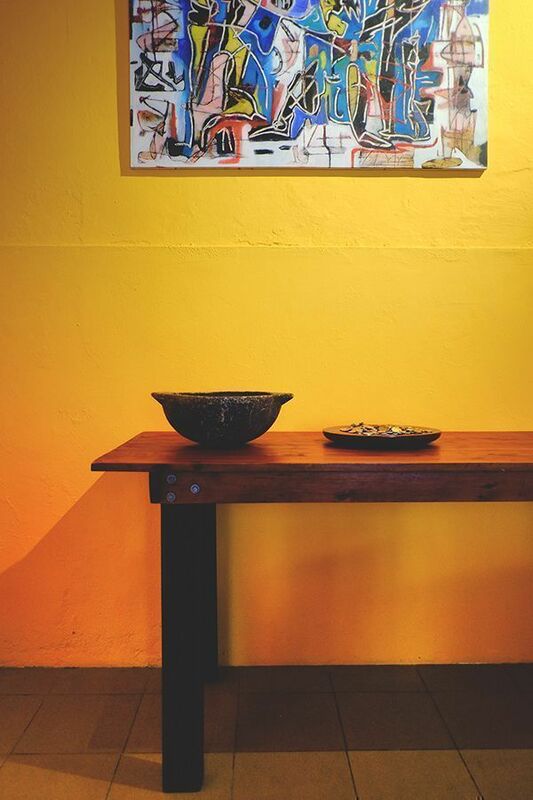 "I painted the dining room yellow, because I wanted to make this place more warm. The paintings are from my aunt. She's a Dutch artist, and I'm setting up an exhibition later this year. 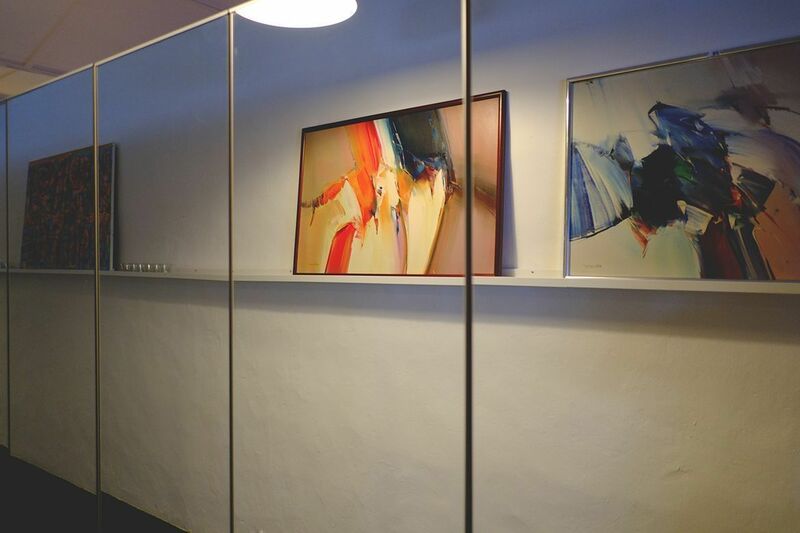 I just brought home the paintings over, because I love them, I have plenty of wall space, and they look great in here." An entryway from the dining room leads to the open-plan layout that reveals the living room and kitchen. The open and undivided space and the retained original structure of the ceilings and the floor hint at the New York warehouse feel that Matthew was gunning for. Such big spaces call for big items, which explains the presence of a huge console table and a projector TV in the living room, and the oversized kitchen island and feature wall in the kitchen. "The thing with a big room is you need something big to jump at you," says Matthew. 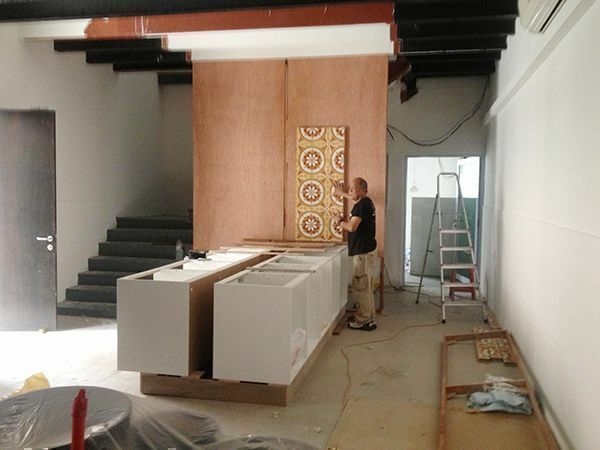 "The tiles are original Peranakan tiles. We wanted to use them, because we wanted to recognise the Peranakan heritage of the area. They're reclaimed and they're very expensive, so we couldn't afford to use many. The colours are great as well." "I love to cook. We entertain guests a lot, so my kitchen has to be usable. You have the counter which almost [feels] like [it belongs in a] boutique but behind it you have the ovens and fridge which makes the space really usable. I want it to be simple. We usually go out because food in Singapore is fabulous, but when we want to cook for 14 people, we can." 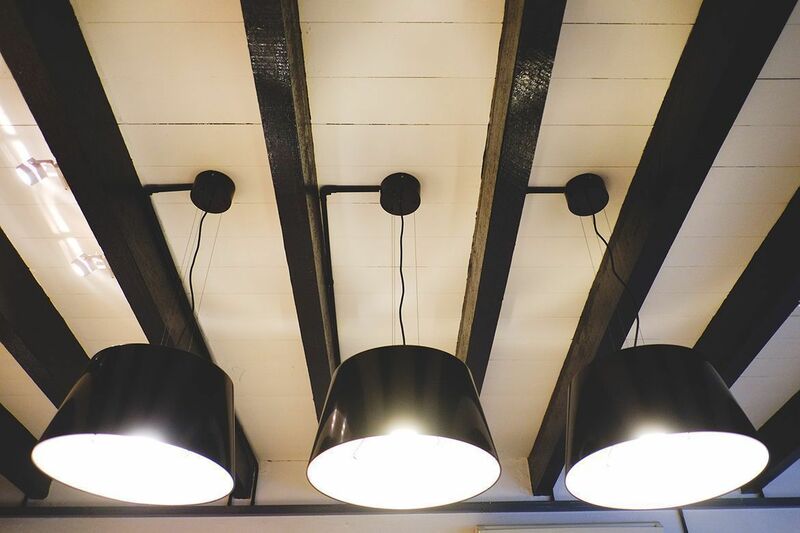 To achieve the New York warehouse look, Matthew kept the ceiling beams. "They were already here. We just painted them." Upstairs is a different story. "The second floor is the private floor," says Matthew. What was once a massive open layout is now compartmentalised into various intimate spaces: the den, the home office, the tropical-style bathroom, the bedrooms, and the balcony-turned-guestroom. Here is where you fully grapple Matthew's eclectic taste, thanks to the mix of styles all over the space: the Rajasthan door, the Oriental-style console table, and African paintings set against the wall. Even the bathroom has a hint of Balinese influence. Matthew affirms, "It's an eclectic house. It's a hodgepodge of styles. 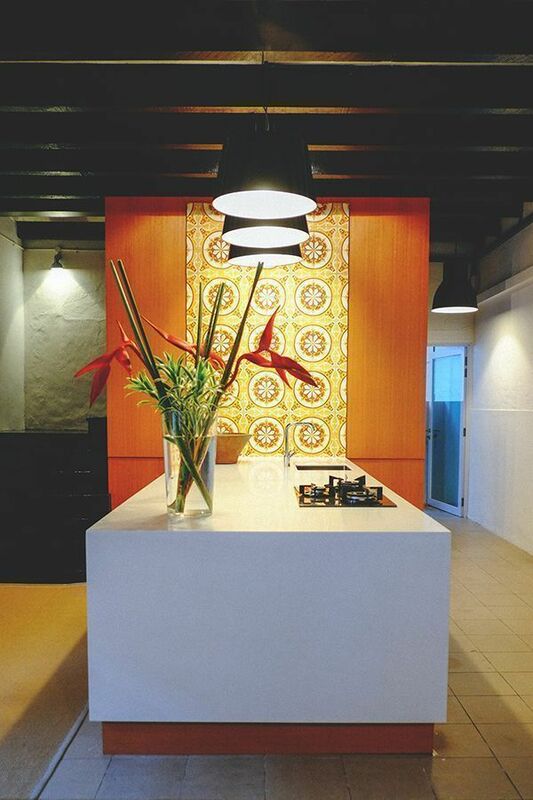 You have a midcentury table in the dining room and Peranakan feature wall on the ground floor. Upstairs, you have Indian, Chinese, African, Balinese," says Matthew. 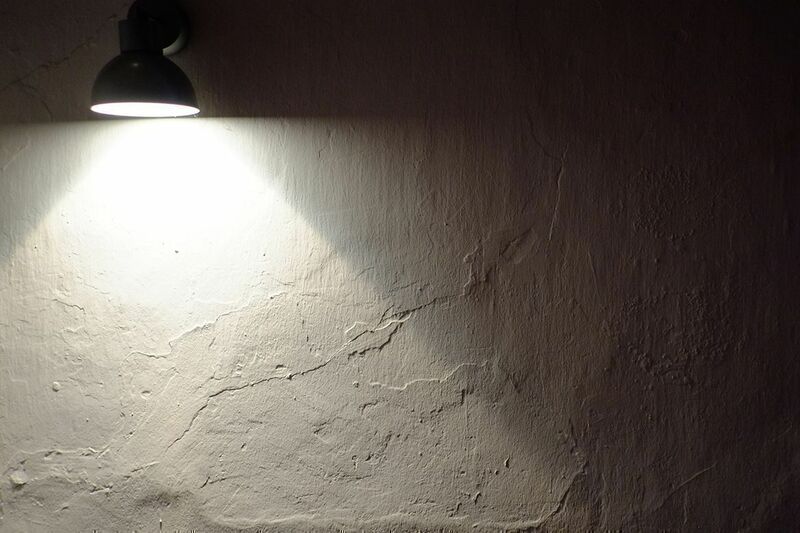 "To make a quite clean interior in this very old building…[this was my purpose]. 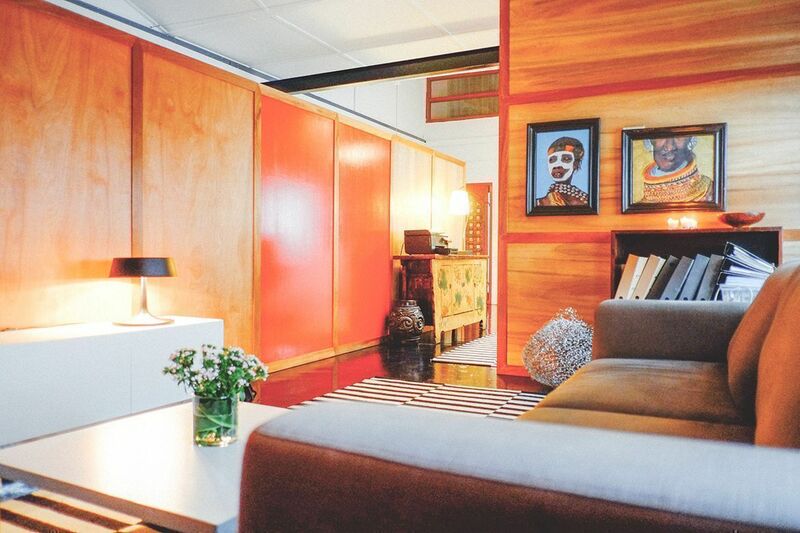 I can't say that this is art deco or American…it's a hodgepodge." Geometric styles (" I like clean lines but I like historic buildings") and patterns also figure largely in his home, all beautifully complementing the interplay of colours and textures. 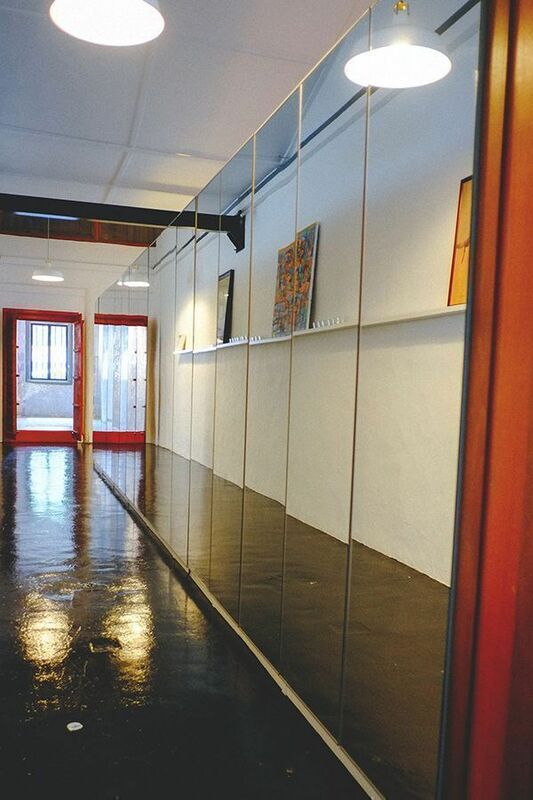 On the second floor is the faux hallway made from Ikea's Pax mirrored double wardrobes placed side by side. "I like carving out space. I instantly knew that a big bang of wardrobes would solve all our storage needs, because there's no built-in storage here. Not only did we solve the storage problem, we also separated the space." Behind the wardrobes-turned-wall is the home office and the den, made warm and cosy via the plywood panels and warm colours. "I wanted to create a library feel, so I used warm colours and used plywoods for panels." 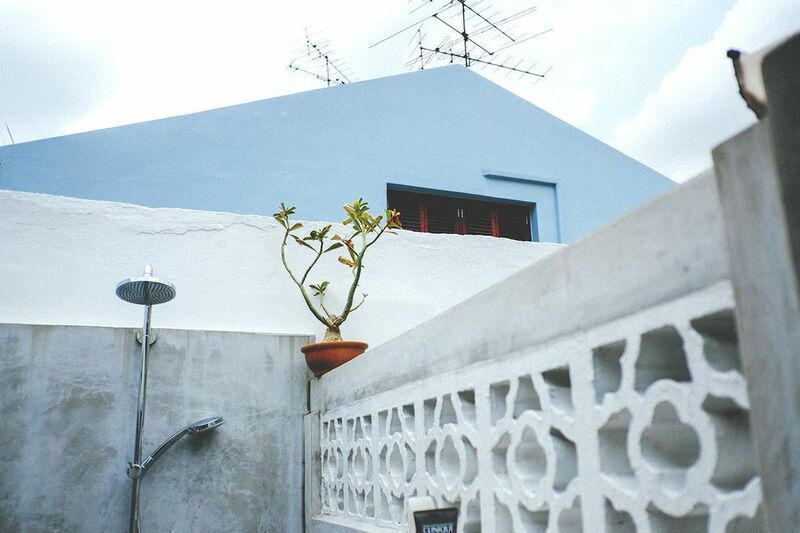 The outdoor shower is one of the shophouse's unique features. "We came from the United Kingdom originally. In UK, people have these tiny shower cubicles. So to have this big outdoor space is brilliant. It's great because when it rains, you have a hot shower. When it's hot, which usually is, you have a cold shower. I think most people in Singapore are spending their time fighting the weather, but we just kind of embrace it. 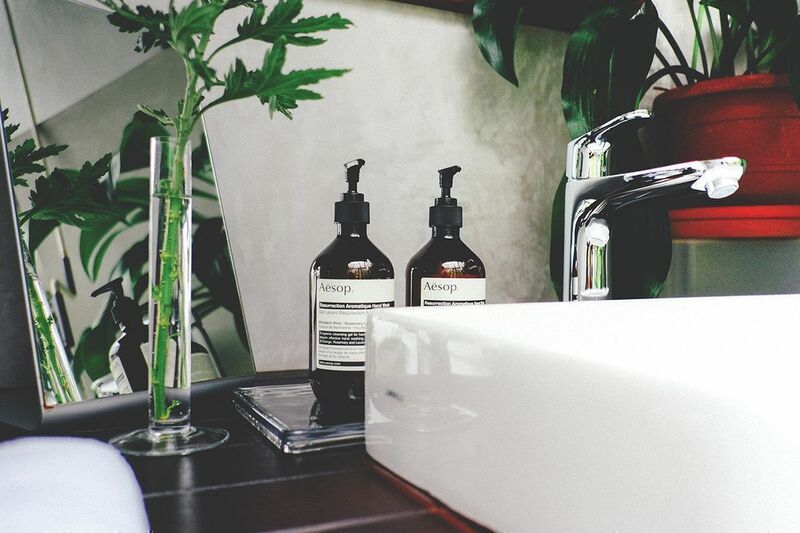 Our bathroom really wakes you up in a good mood, as you stand there in the sunshine, with the plants surrounding you. It doesn't seem like a luxury, but for us, it is." So spacious is the bathroom that it even has a sitting area. Plants and wooden elements create a tropical vibe. 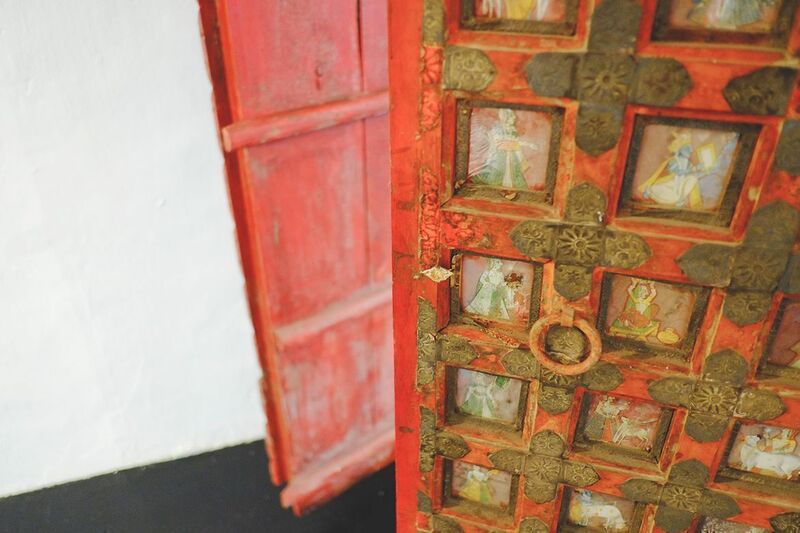 "The bedroom door is from Rajasthan. While people buy these frames and use them as wall features, I thought they should be put together as doors. I asked my carpenters to reframe them as doors. It's so lovely. It worked." This shabby-chic master bedroom has a view of the Everton Park HDB and The Pinnacle@Duxton, which Matthew loves. The area rug echoes Matthew's love for geometric patterns. Matthew's contractors peeled back almost 50 layers of paint to revel the original paint, which is almost 100 years old. "I love this shade of blue. We decided to keep it and just used the clear varnish. Plus, light picks up on it really well. It's great." Matthew is proud to admit that "all our furniture is secondhand, all came from the auction house. We made the most out of Ikea cabinets by putting different finishes over them. Plus, we use a lot of plywood, concrete, paint. All materials are cheap. There's no marble in this house...nothing fancy at all." What mattered to Matthew was building a home that is cosy. "I didn't set out to create a feel. I just made a house that's comfortable using a very small budget," says Matthew. "We like living in it. It's not perfect, but you have to accept the limitations of living in an old house as well. I love the fact that there's light everywhere, there's people wandering, there's always something to look at out the window." This shophouse was a far cry from his condo living—a fact that Matthew appreciates the most. 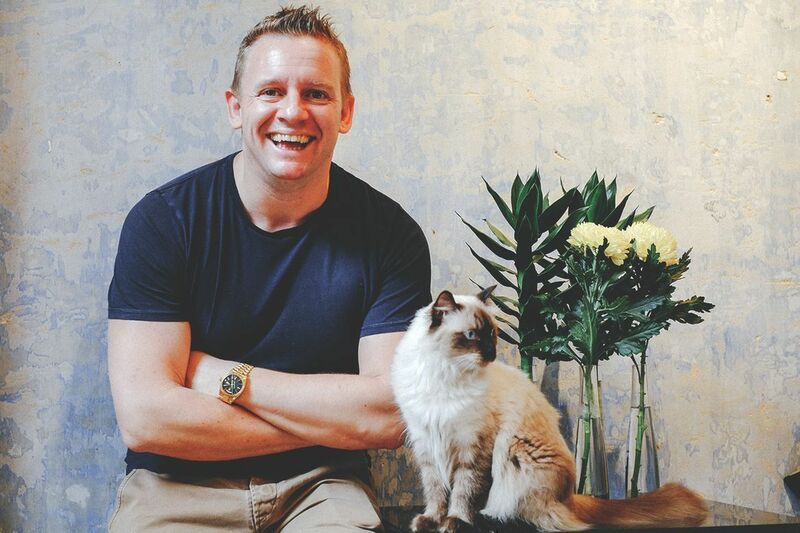 Here, he and Mark are part of the community, integrated into a neighbourhood that suggests true Singaporean living. "We definitely feel like we're part of the community here. The nicest thing about living here is we don't feel like a bunch of stupid expats living in this town. I hated that. We're so lucky to have this home. I just feel that we're just taking this amazing building for another experience. The building will outlive all of us. We're just its caretakers during the time we're here. And hopefully we've renovated it in a way that keeps true to its bones but makes it more relevant for 21st century life," Matthew beams. The ground floor features a small backyard where the vertical garden is. 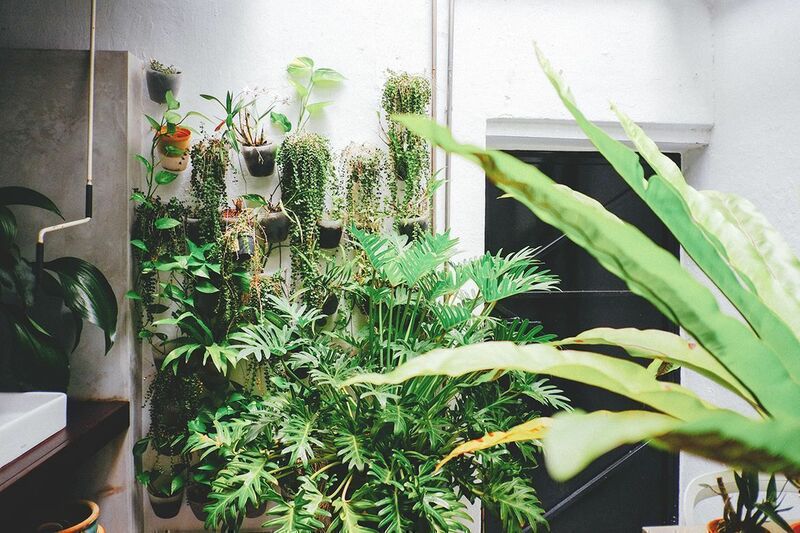 "This vertical garden came from my old flat where we had an old balcony. But now we have plants everywhere. I even have a pineapple growing, it's almost ready." "There's a lot of texture in this house. 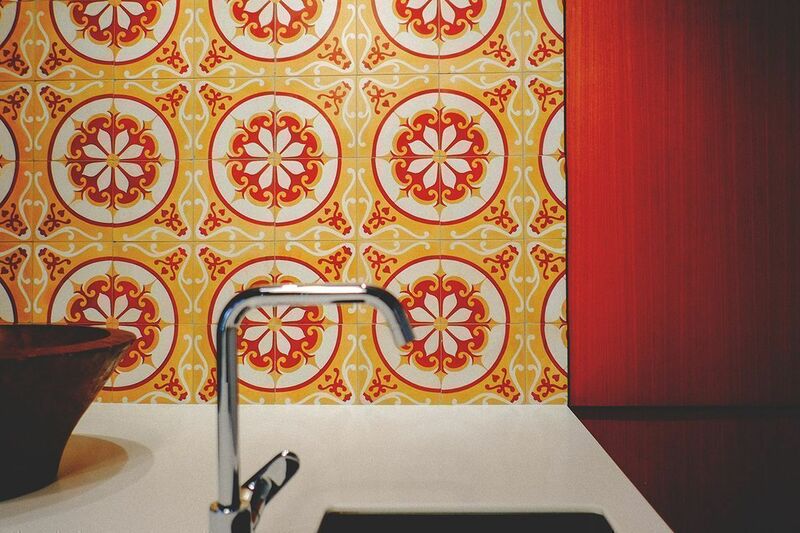 Because there's so much space, you can't just use wallpaper throughout as it would blow the budget." 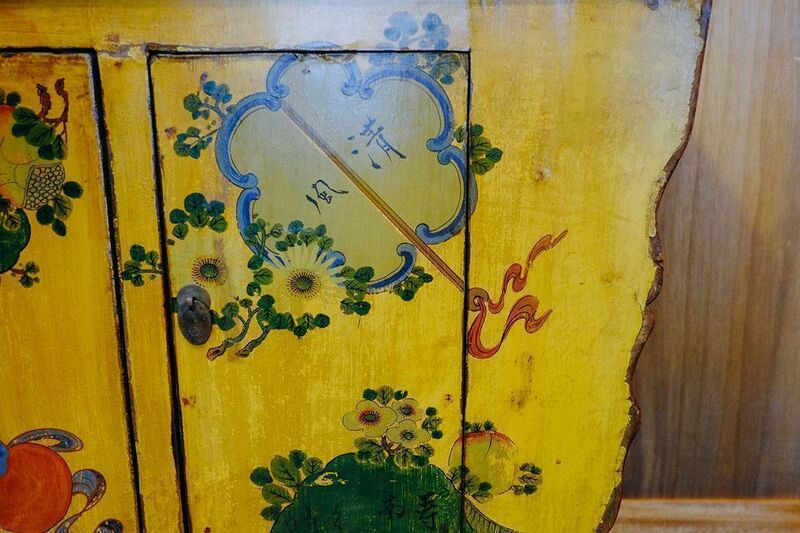 "This Chinese chest is an antique piece bought at auction. Auctions are great places to source interesting individual pieces that add character to your home." Matthew and Baby Thing. 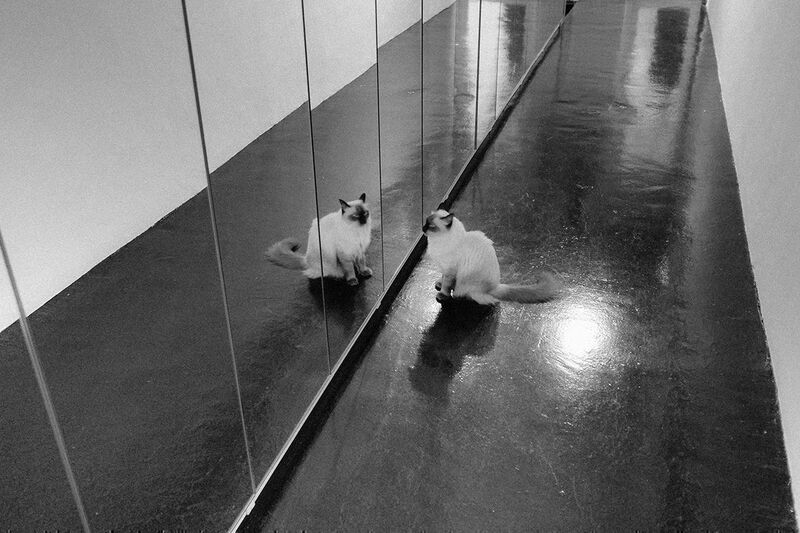 "Baby Thing was a rescue cat from SCPA. She was very skinny. Back then, she didn't have all that fluff. Now she's a bit of a neighbourhood superstar. She sits by the window and people see her." Total space: 5,500 square ft.
Have a big picture. "I think you have to have the big picture. Don't think about the small things. You have to get the big stuff right first, and the little stuff will just come. You have to look at the space and understand how to use that space. Like our kitchen, our kitchen is a strange kitchen. But if I have two kids and I am constantly moving between the sink and the dishwasher, I would have a different kitchen. So you have to design for your life." Be brave. "If you see things that you like, follow your gut. Don't go away and mull over it forever. Just go with it. Trust your instinct." Relax. 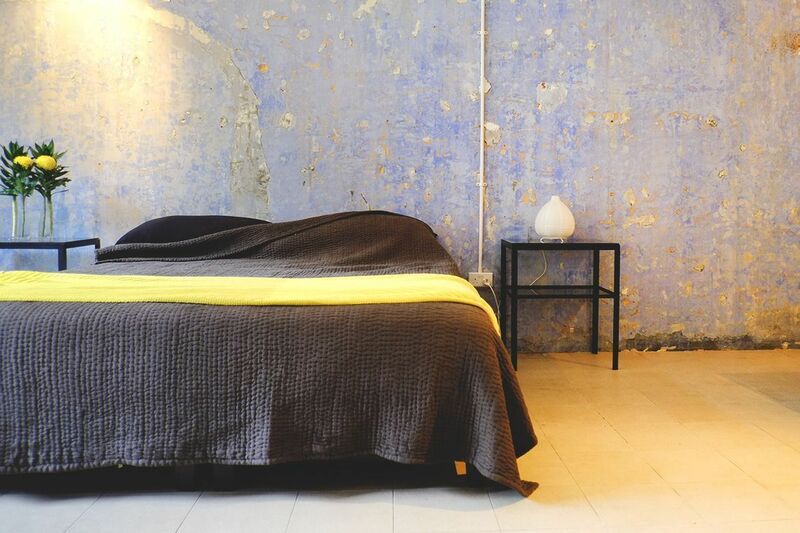 "I think if you're relaxed about renovating, everyone is relaxed around you. At the end of the day, no one is going to die if [there is a mistake]. It's all about communication." Be organised. "Renovating is all about good planning and making sure you have what you need on site so it can be done. There's no magic trick here—you just have to be organised." And finally … consider buying at auction. "You’ll be amazing at the pre-loved gems you can discover!" HotLotz holds a regular ‘Antiques & Interiors’ Auction at 10am every Saturday. For details, visit www.hotlotz.com. We'd love to feature your beautiful home. Email us at hello@cromly.com.